Girls Varsity Bowling · Feb 12 The Woodstock Girls Bowling Team celebrated seniors on 1/25. Girls Varsity Bowling · Feb 3 Score from 1/24 versus Jacobs. Girls Varsity Bowling · Feb 3 Woodstock Girls Coop finishes in 9th place at the Dundee-Crown Regional. Girls Varsity Bowling · Feb 2 The Woodstock Girls Bowling Coop finish the season with a loss to Marengo. 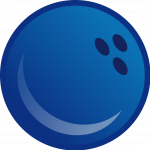 The bowling match against Belvidere on 1/29/19 has been cancelled. Make-up date is TBD. The girls bowling match today (1/22/19) has been cancelled. Girls Varsity Bowling · Jan 12 Girls Bowling places 14th at the Buccaneer Invite.